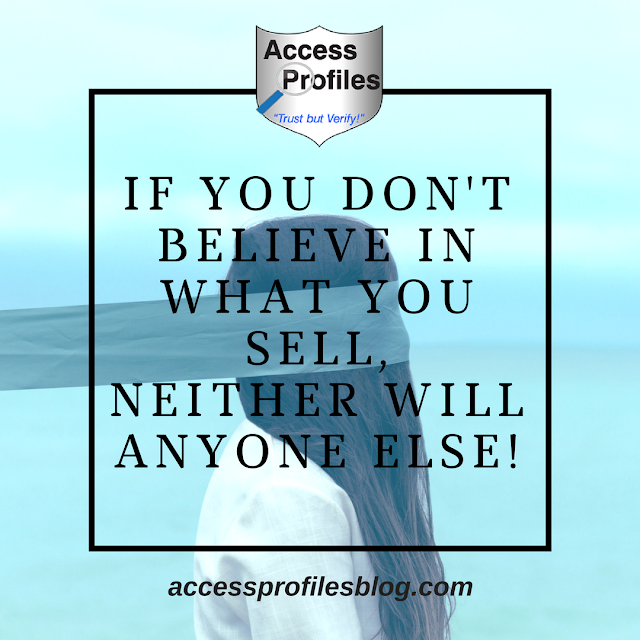 Access Profiles, Inc.: Why Do You Believe in What You Sell? “While I ‘sell’ services (employment background checks and business mentoring), I find it essential to completely believe in what I do and why. And since my clients essentially get ME when they sign on, it definitely helps that I believe in myself and that what I do is valuable. I would find it very difficult to promote what I do if I didn't believe in its quality and value!”. When I started my business, I quickly found that “selling” my services was one of my most difficult tasks ~ and that was a problem! Getting the word out and landing clients is essential to making a go of any business. So I had no choice but to get myself out there, push that uncomfortable feeling aside, and sell what I do. While it continued to be difficult, I found that the more I began to truly recognize the quality of what I offered the easier it got. 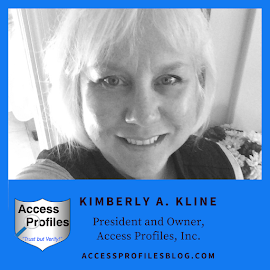 I also discovered that when it became clear that my services could really help my clients succeed in their own businesses, my initial problems with “selling” what I do were no longer an issue. “If you sell yourself, and believe in yourself, it is easy”. I have “pride in what I do and believe in it’s quality”. I receive “continued positive customer/client feedback”. “I know it helps people”. “We love what we do, and that love translates to making a truly quality product” (or service). “We have seen it improve people’s lives”. We “get more customers by word of mouth” (which means happy clients). All of these answers focused on what their company’s products or services did FOR their clients ~ and that is why they believe in them! The bottom line is, when I began thinking about my answer to the question “Why Do You Believe in What You Sell”, I realized that it would be impossible for me to sell something that I didn’t believe in! For me, I believe in what I “sell” because I know it has helped our clients. Our background investigation services enable them to be more successful when hiring and finding the best candidates. 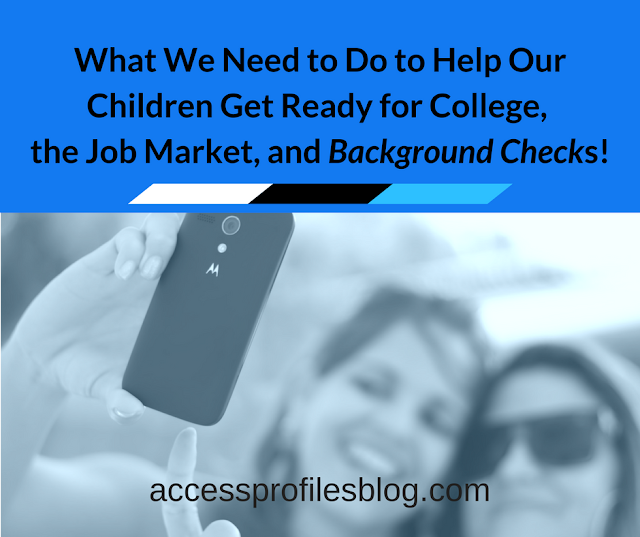 We strive to keep up with new laws and regulations that govern employment screening. We know the quality we provide and how it can help solve our clients’ hiring problems. In addition, our Small Business Mentoring and Security Consulting helps them to start their own small business and keep that business safe. I also found that once I changed my mindset to one where “selling” was not my ultimate goal, but partnering with my clients on their own road to success was, it made all the difference. There is no way I could “sell” what we do if I didn’t believe in it. We place our focus squarely on the real value of our services ~ what we have learned about our industry and the way we treat our clients. I fully believe in the quality of what we offer, and that shows. While “selling” is still not really in my nature, it is so much easier because I know what we do will help our clients. 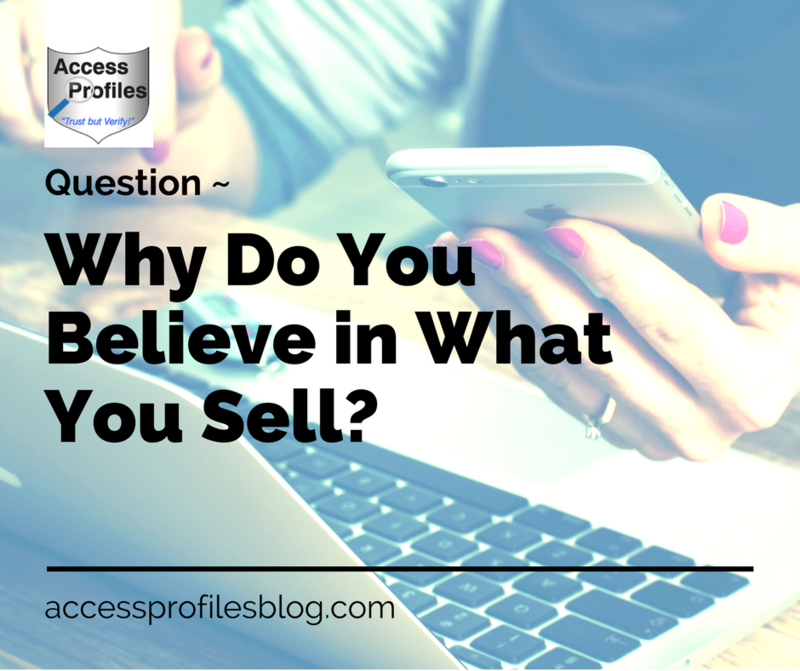 So, in the end, “Why” do I believe in what I sell? Because it would be impossible for me to run a business where I didn’t!!! Check out our Background Investigation, Business Mentoring, and Security Consulting Services. I also invite you to learn more About Us and what Our Happy Clients have to Say about our services!